Steven (Chicagoland, United States) on 28 January 2015 in Landscape & Rural and Portfolio. 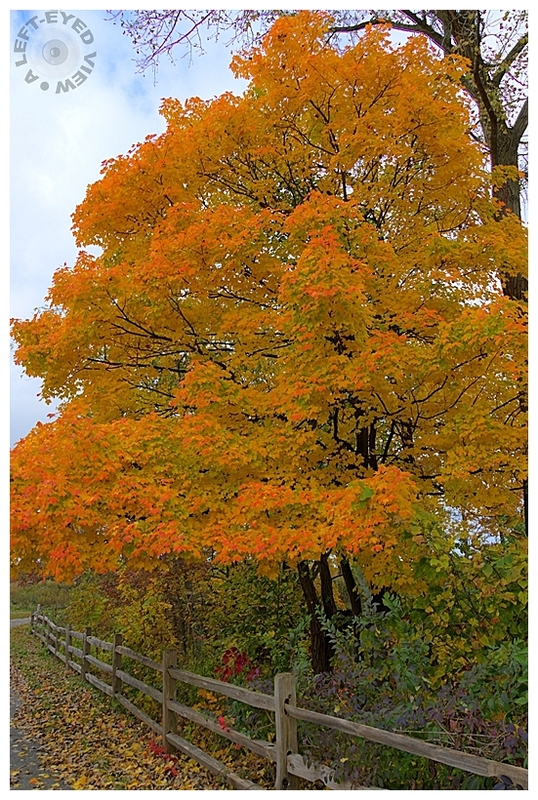 Photo captured at the Fort Sheridan Forest Preserve on October 18, 2014. Fantastique arbre jaune quelle ampleur et cloueur superbes. A perfect color moment here . .
A beautiful composition with wonderful autumn colors ! Beautifully captured ! A fine picture with a fence next to this pretty tree. The range of tones the tree is impressive. very attractive and well-balanced compo, gorgeous colours !!! Love that fence... great dof there Steven... and that tree is just sooo humungous! The crisp colors are eye-popping... excellent! Wonderful work with the colors. Great image. Oh, isn't that just gorgeous?!! That rich color is spectacular, Steven. This is beautifully composed with the fence. The colors are spectacular! That is excellent. I love the colour. That is a beautiful tree all decked out in fall colors. It has such a pretty shape, too.